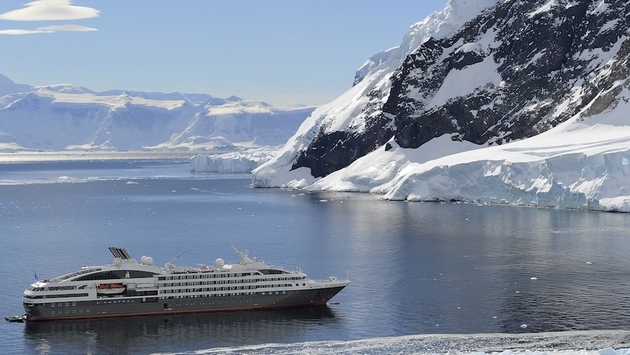 Compagnie du Ponant chose the name Le Lyrial for its new ship due out in April 2015. 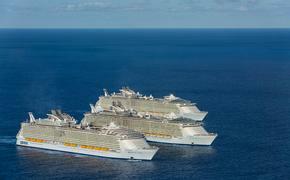 The vessel will be a slightly different sister ship to the 264-passenger Le Boréal, introduced in 2010, L’Austral (2011) and Le Soléal (2013). The company also operates the 64-guest sailing yacht Le Ponant. Le Lyrial refers to the Lyra constellation in the northern hemisphere, the French cruise company said. “Its principal star is the blue Vega, one of the brightest stars in the sky, which is on its way to becoming the next northern pole star, a fitting reference for a five-star expedition specialist of the polar regions,” according to a company press release. The ship is under construction at Fincantieri’s shipyard in Ancona, Italy. The 11,000-ton vessel will fly the French flag and have a cruise speed of 16 knots. The décor will be “cozy yet contemporary” and designed by interior architect Jean-Philippe Nuel, who will work with Veronique Saadé, deputy managing director of Compagnie du Ponant, to create a “yachting” feel inspired by the destinations the company visits and the blue light of the Vega star. Deck 6 will feature only suites, including the 600-square-foot Owner’s Suite. As a result Le Lyrial will have 122 staterooms and suites, slightly fewer than on the 132 on Le Soléal, L’Austral and Le Boréal. All accommodations will have a sea view, and 95 percent will have a private balcony. Le Lyrial will be certified for its environmental programs, as are its sister ships, and will cruise around the Mediterranean during its inaugural season to Italy, Croatia, Montenegro, Greece and Turkey, before heading to Antarctica in the winter.